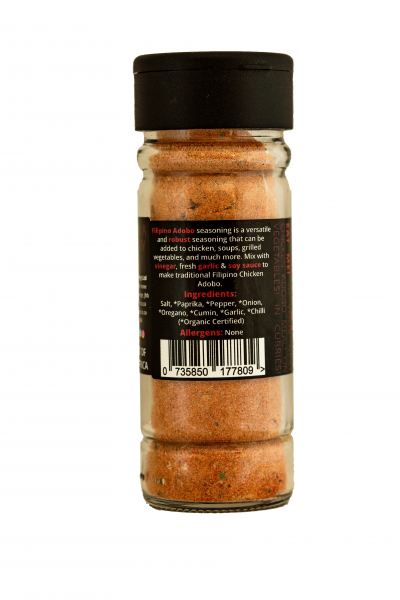 Filipino Adobo seasoning is a versatile and robust seasoning that can be added to chicken, soups, grilled vegetables, and much more. Mix with vinegar, fresh garlic & soy sauce to make traditional Filipino Chicken Adobo. In your next Chicken Adobo Meal! On Vegetables! In Curries!